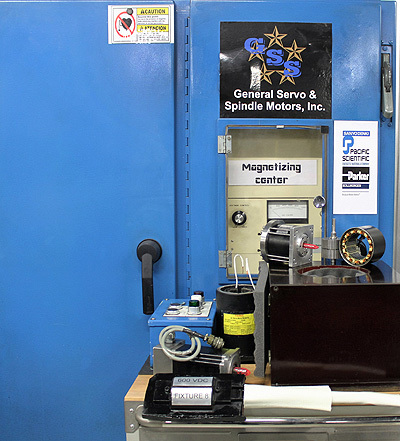 Using a custom made magnetizing machine General Servo can bring your stepper motor, DC motor, and pancake motor up to specifications. This is an important aspect of motor repair as it corrects torque issues. We have a wide range of custom fixtures to meet the needs of the industry. If we do not have it we will customize a fixture in house. Repairs include Sanyo Denki Step-Syn synchronous motors Model: 103h89331-0265 for the medical field. Machining on aluminum and stainless housings.